Thinking Black? our guide to getting it right…. I’ll kick this off by declaring our firm belief that trends and furniture do not mix, all the proof you need is to do a search on GumTree and see thousands of ads for dated furniture being given away left right and centre. 25+ years of cheap imports have created a whole culture shift amongst the last couple of generations where furniture is seen as a disposable fashion statement not a valued asset that can be handed down through the family, the key to that is timeless design, premium materials and skilled hands. Concrete tops is the latest trend the import retailers want you to “buy” into along with faked ‘natural’ edges. Last couple of years it was copper and rose gold, before that it was marble and granite and before that it was “wenge” and on it goes… Wenge was a terrible name for a terrible colour which saw all ‘on trend’ furniture stained very dark brown and it was everywhere around 10-15 years ago. The only reason ‘wenge’ was so popular at the time was because of the influx of mass production, low grade timber furniture from Asia and the dark stain was used to hide the poor quality timbers and workmanship being used. The stores were flooded with it and naturally shoppers perceived this as “trend” so they filled their houses with it. Most now regret the choice, we take a call a week here for people wanting us to lighten up their furniture because they’ve just realised how drab it is… not to mention the dust, fingerprints and the way black can really highlight surface scratches. This takes me to the point of this post… Black. We’re starting to see more interest in using black in furniture again, seems black is back with taps, bench-tops and kitchen cabinetry etc with dark grey tones definitely being the dominant fabric colour choice over the last 12 months. Enquiries lately are for black in parts of furniture or full black but only one or two minor pieces as a feature in the home i.e. coffee tables, lamp tables. 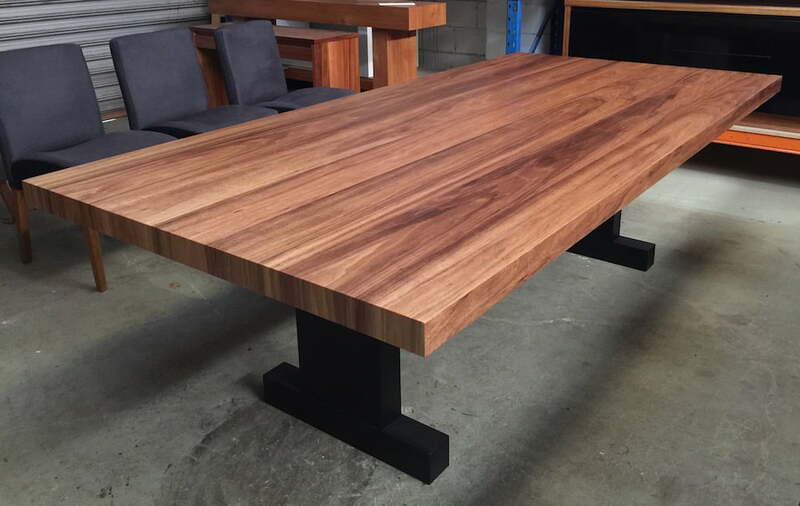 Black table bases are a popular choice right now for breaking up timber floors and timber table top, although we always resist black in furniture for the reasons above, we see no dating issues with a black table base as it spends most of its life unseen anyway. Here’s some very recent pics of customers using black in our furniture while still retaining the natural timber, much smarter ideas than using black everywhere, more black can be introduced with non-permanent materials like chair fabric, placemats, table runners etc..
We’re not saying don’t use black at all in modern furniture, the advice here is to use it sparingly and sporadically. 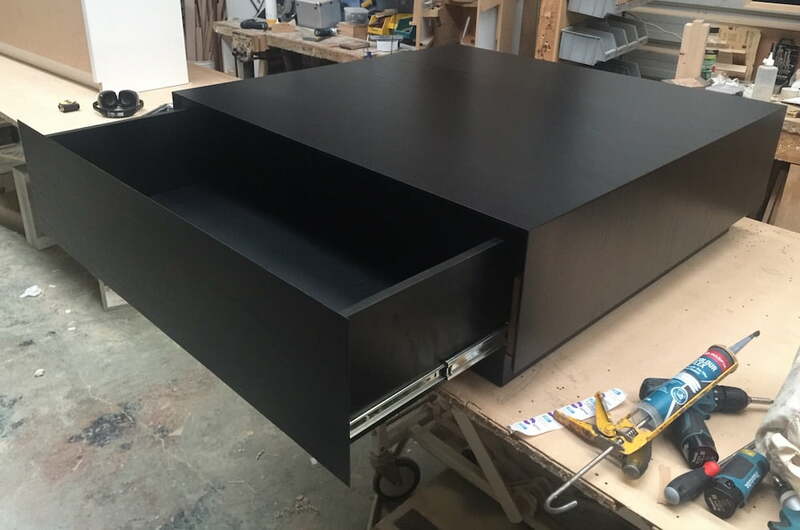 Matt Mabarrack -furniture designer, cabinet maker. Continue reading Thinking Black? our guide to getting it right…. 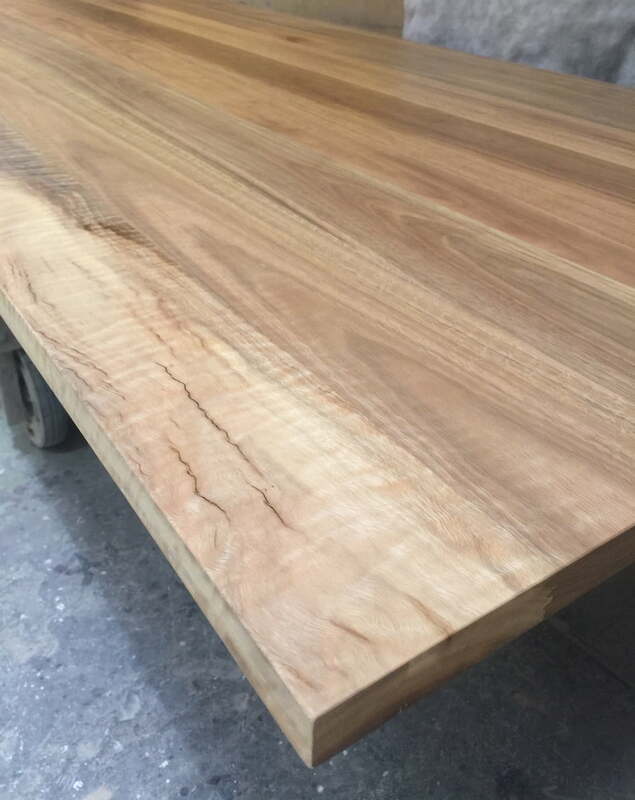 Spotted gum NOW IN STOCK! 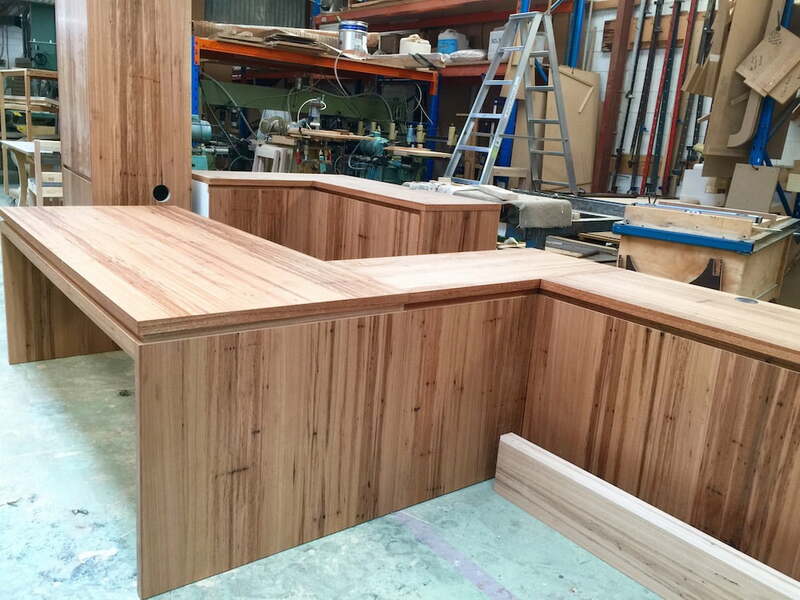 The next big thing in timber is Spotted Gum! 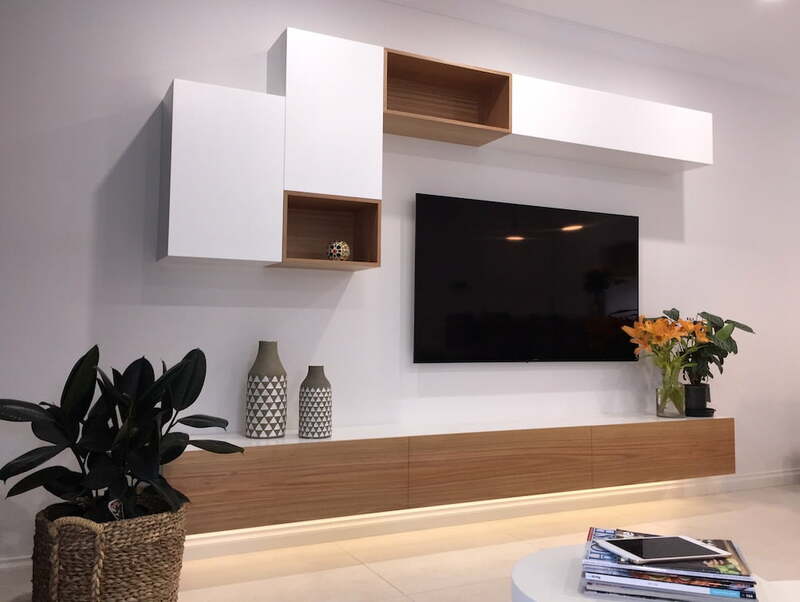 Solid or veneers, this timber species has a unique look thats hard to go past… Come in, have a look and you can be the judge! 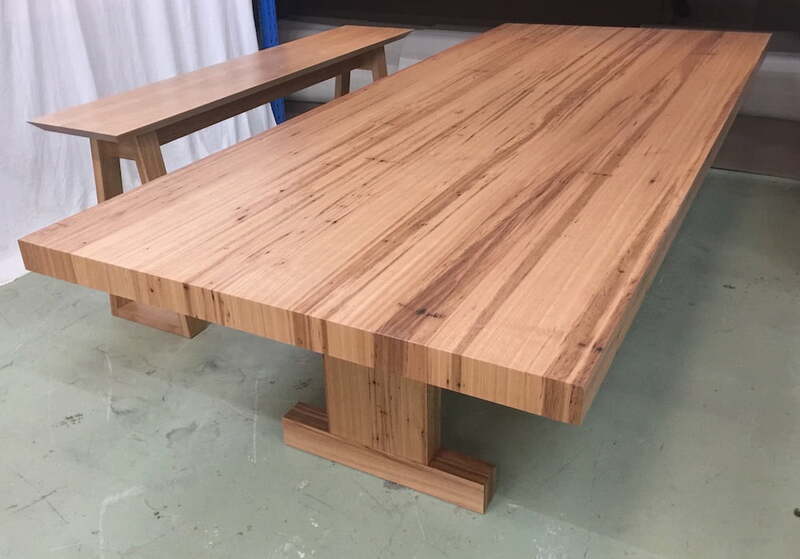 Exclusive to Mabarrack Furniture Continue reading Spotted gum NOW IN STOCK! 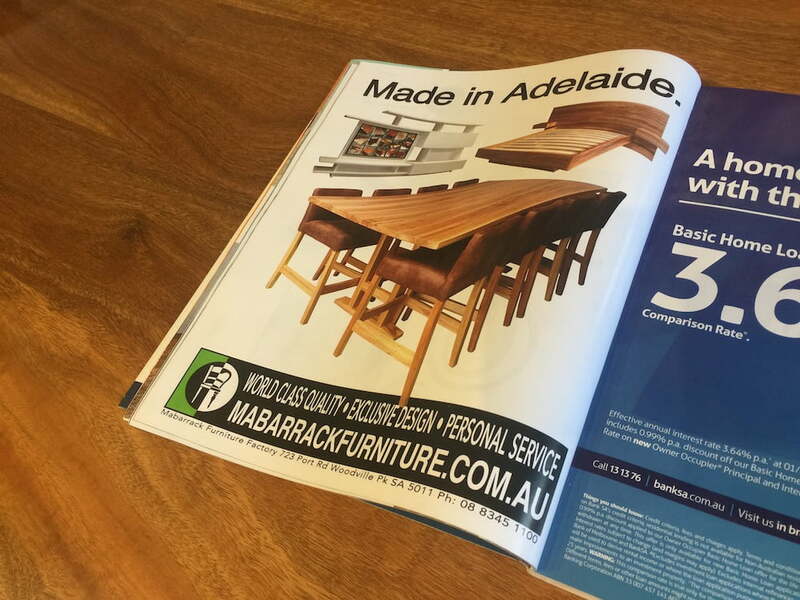 Another great dining chair solution from the master chair makers at Mabarrack Furniture. Introducing the latest fully upholstered dining chair to join the Mabarrack stable, it’s the Hobart! Styled from cues taken from our 2 best selling dining chairs -the Bendigo and the Newcastle, the new Hobart has typical Mabarrack comfort, strength, light weight with a lower back than the Bendigo (Hobart is 860mm) and more bucket than the Newcastle with 28 x10mm dowels used in the frame construction ensuring a lifetime of strength. Click here to see our full chair range. Comparable hand crafted chairs in the retail market sell for close to $1000 each! Because we are the manufacturers of the chairs and not retailers, we can sell ours from around $515 ea inc GST and fabric of your choice! •Piece of mind, value and choice. Sharon and Eric’s new home…. Take a short tour of Sharon and Eric’s brand new lounge room! Their sensational new Dechellis home oozes quality and style so the logical company to help furnish it was us! I visited Sharon yesterday and she was lovely enough to let me snap some quick pics to share with you! Enjoy the Levi media centre, KT table in clear Oak with our exclusive “Australia” chairs where Sharon chose Warwick Bendigo “smoke” and 5 of the most comfortable bar chairs on planet earth, Sharon’s chosen fabric on these was Warwick Aspire “Mango”… Cheers Sharon and Eric, see you again soon! Continue reading Sharon and Eric’s new home…. 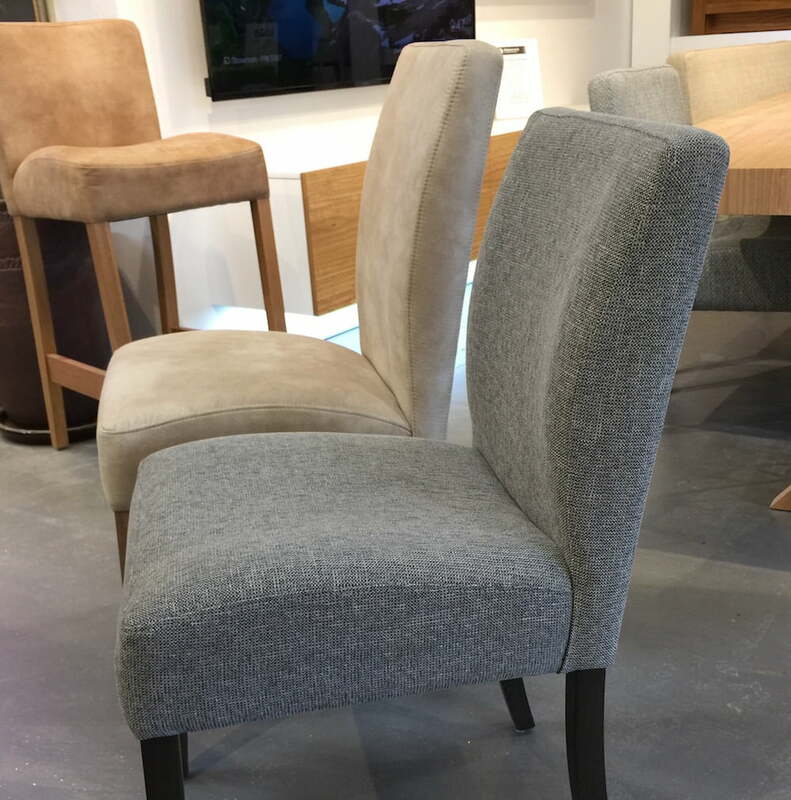 The foundation of our fully upholstered dining chair range is extended dining comfort, basically meaning long dinner parties. This is an extraordinary chair selection with immense choice, comfort and value which we believe is entirely unsurpassed, anywhere. 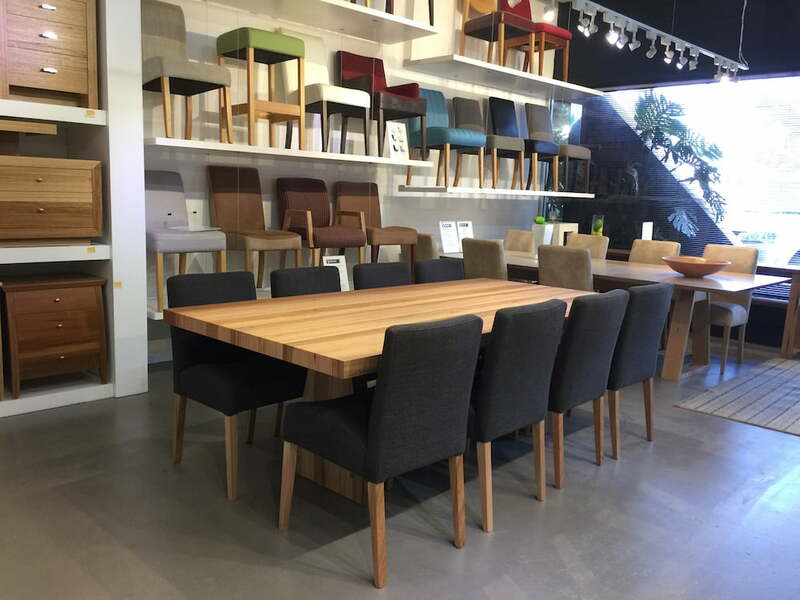 Our chairs are engineered to be light yet strong and have been in production for over 40 years with thousands of hand made Mabarrack dining chairs still being enjoyed today.